Chris Mallan is a Senior Lecturer in Classics and Ancient History at the University of Western Australia. Chris’ research focusses on Greek Historiography under the Roman Empire and the reception of this tradition in Byzantium. He is currently working on a Commentary on Books 57 and 58 of Cassius Dio’s Roman History for OUP. Before joining UWA in 2018, Chris held teaching posts at St Benet’s Hall (Oxford) and the Queen’s College (Oxford). This lecture examines the evidence for the transmission and reception of Cassius Dio’s Roman History in Western Europe during the 15th and 16th centuries. 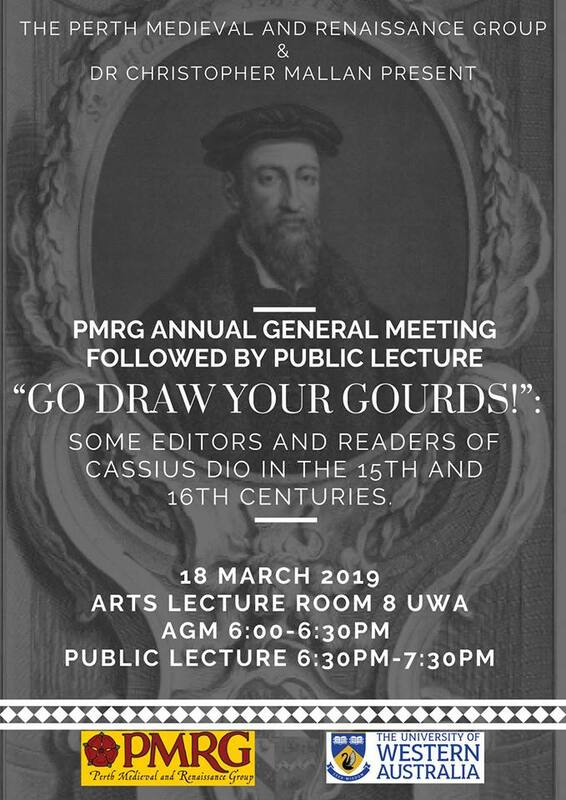 The first part will focus on the editorial history of the Roman History leading up to the publication of the editio princeps in 1548. The second part will examine the marginalia corresponding to excerpts from Dio’s history in Sir Thomas Smith’s copy of Erasmus’ Scriptores Historiae Augustae (Queens’ College Cambridge F.2.15, pp. 131-147). This is a free event, to which all are welcome. RSVPs are not required. This entry was posted in General by MGerzic. Bookmark the permalink.